In today’s era, where presenting yourself is the most important aspect to consider, no one will want his/her first impression to be ordinary, and your first impression is resume. The resume works as a hidden asset which increase the probability of your selection call from the employer. Career and Education provides professional Resume Builder Services. We provide print with download your resume in Microsoft word and Acrobat's PDF format link. Our resume builder team have over 120 well formatted professionally designed resume templates to choose from as suitable to you. PPTS, Emails, Resume Making and SMS. Our expert writers can write the things for you. Try once, trust us we assure you will never be disappointed. Post Your Resume :- All candidates who are looking for jobs can post their resume. Do not forget to mention educational qualification, professional experience, levels of interest, hobbies, other details and we will do the needful. 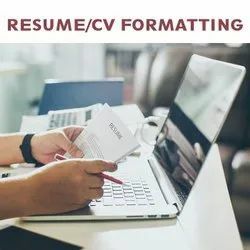 At times, you may want to format all resumes with a common header, footer, watermark or want to even introduce a table with certain candidate information highlighted. It can be quite a laborious task to format a number of resumes manually, one by one. 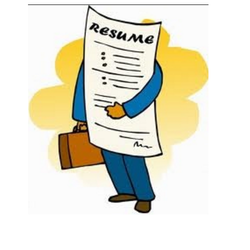 Times Resumes provides professional resume writing services in Vadodara, India and any city or country in the world. Job seekers in any industry, city or country can avail of our professional resume services, available online over the internet. Your professional resume is delivered right into your email inbox. The right resume is the most powerful key to open the doors of opportunities – the first, the most important step towards your endeavor to get the desired job…and to write your future-your story. The interview gets you a job but the resume gets you to the interview. Your resume reaches your employer before you. It is a virtual meeting with the employer. Your resume helps employer understand whether you may be suitable or trainable for the desired job. It is an opportunity for you to make a positive impression. Resume helps you to reach where you want to. Having written 500 resumes for global leaders and senior professionals including Directors, CEOs, CFOs, COOs, General & Functional Managers across multiple sectors including, Manufacturing, IT, Telecom, Agro-businesses, Academics, Logistics, Fianncial Services etc., we have nurtured a flair for writing highly customized resumes for our clients. Many senior professionals have the habit of just adding a line to their resume every time they change a job. They feel no need to have a re-look at their whole resume for years together. Only when they stop getting interview calls that they realize that something big is missing in their resume. By that time it is too late to catch up with the lost time and opportunities.